Located 120 kilometres south of Hanoi, Cuc Phuong national park was established in 1962 and is the oldest national park in Vietnam. Consisting of more than 200 square kilometres of tropical forest and many grottoes, the reserve is rich in wildlife and natural beauty and also possesses historical significance, as prehistoric tools and ancient tombs have been discovered in some of the caves. View from path to observation point. The best way to explore the park is by a combination of motorbike or bicycle and foot. The park centre lies 20 kilometres from HQ and reception and is along a paved road, meaning it’s not much fun to walk. It’s not a great deal of fun to cycle either — it’s a hilly road with plenty of 10% inclines to get those legs working – but anyone with a relative degree of fitness will be fine. Both motorbikes and bicycles are available to rent at reception. You’ll see some sights en route to the centre: Mac Lake is less than two kilometres from reception and so reachable on foot. The lake itself is pretty enough and there is accommodation and a restaurant along its banks. Around five kilometres further on is the cave of prehistoric man, now apparently a refuge for bats. It’s a short but steep walk up to the cave and you will need a torch inside; they are available to rent from the hut next to the car park for 10,000 VND. The park centre itself houses a restaurant, a cafe, a shop and more accommodation, and is the start point for a six kilometre walk to the thousand year old tree. The walk is a great way to stretch your legs if you’ve travelled by motorbike, and for those interested in botany there’s plenty to study on the way. You can also take a short detour to visit the Palace Cave. The tree itself is impressive but not worth more than a few minutes, although there’s space to sit and rest ready for the return journey. There are two options for the return journey: head back the way you came or continue on the loop. Few people take the latter so it provides an opportunity to get away from the crowds and is a more adventurous walk. For adventurous read more hills, unmade paths and trees to clamber over. For those seeking a longer walk, it is 16 kilometres from the park centre to a Hmong village. This needs to be visited through an organised trip – Cuc Phuong runs a number of tours including overnights in the village. Other walks, such as the fossil and ancient tree loop trail, also require a guide. Check on the Cuc Phuong website or at reception for further details. As well as the natural environment, Cuc Phuong is home to the Endangered Primate Rescue Centre. This houses around 150 primates from endangered species in large enclosures. The aim of the centre is to release the animals back into the wild, but it often proves difficult to rehabilitate them and they have only released a small number since the centre opened in 1995. It’s open 09:00-11:00 and 13:15-16:00 with guided tours every 30 minutes. Entry is 30,000 VND and tickets should be bought in advance at reception. They are valid for entry to any session. Over the road from the EPRC is the Turtle Conservation Centre (TCC), a rescue facility for turtles confiscated from the wildlife trade. The entry hall has some well presented displays detailing the problem and up to 19 species can be seen inside. The TCC is open 09:00-11:00 and 14:00-16:00 daily and is free to enter, with no need for a guide. You might consider making a donation — there’s a box inside. If you simply want a quick look around and the chance to walk through some forest or visit the primate centre, you could take a long day trip from Hanoi, but you will spend most of the day travelling, so an overnight stay is advisable. If you’re visiting Tam Coc, base yourself in Ninh Binh for an extra night or two and visit for the day from there. Accommodation in the park is adequate but in our opinion is a bit overpriced for the quality — still, they have a captive audience. You have three options: stay at park HQ, Mac Lake or the Park Centre. Mac Lake or the centre would be our preference, as the surroundings are more pleasant, but some of the rooms at HQ face onto the Botanical Gardens and have a veranda for some early evening relaxation, so aren’t a bad option. Private rooms and dorms are available. See their website for more information. Accommodation at park HQ has a colonial feel to it. As for getting there, it takes about three to four hours by road to reach the park from Hanoi and you can go by bus, car or motorbike. 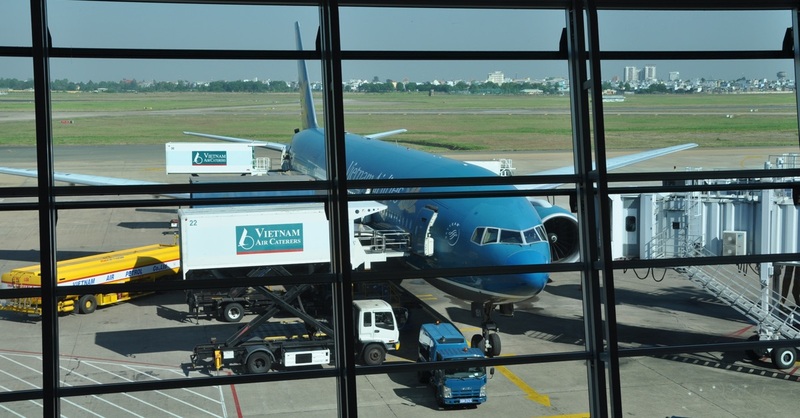 Buses depart for Nho Quan from Hanoi’s Giap Bat bus station at 08:00, 09:00, 12:00, 13:00, 15:00 and 16:00 and cost 75,000 to 100,000 VND (75,000 VND is the listed price but don’t be surprised if you’re charged more). From Nho Quan you will need to take a taxi (around 160,000 VND) or motorbike taxi (around 80,000 VND) to the park reception; we’d recommend a motorbike as you’ll get a better view of the scenery on the way. There is also one bus a day that goes direct from Giap Bat to the park, which leaves Hanoi at 15:00 and returns at 09:00. Buses run more regularly from Giap Bat to Ninh Binh, but you’ll have to change to get to Nho Quan or you can take a taxi — it’ll take about an hour. Getting the bus direct to Nho Quan or Cuc Phuong is recommended, but if you’re staying in Ninh Binh it’s a relatively easy trip. Alternatively you can hire a private car: Cuc Phuong will arrange this for $155 return, which is a bit cheaper than the agents in Hanoi were asking. It’s not a cheap option, but if there’s a group of you and budget’s not tight it’s worth considering. The other option is to go by motorbike. The route via Highway 1 (directly south) is not recommended as it’s a particularly busy and unpleasant road, but it is the quickest way. For those happy to detour a bit for better scenery and quieter streets, head out of town towards Ba Vi and then take the Ho Chi Minh Highway. The scenery along the way is quite something — some might say it’s better than in the park itself. April and May are ideal months for a visit as the park is alive with butterflies and the weather is likely to be hot but dry. Other than that, any time is good as long as you are prepared for the weather: remember it gets chilly December through February. If you’re interested in botany or have a fondness for primates then it’s a must-visit. For anyone else it’s a pleasant diversion and escape from the city if you have time. If you want to explore the area further, Cuc Phuong is only about an hour from Ninh Binh and the attractions near there, such as Tam Coc and Hoa Lu. Van Long Nature Reserve, where langurs can be seen clambering over the karsts, is nearby. Entry to the park costs 20,000 VND. The Endangered Primate Rescue Centre is 30,000 VND (make sure you buy your ticket at reception). 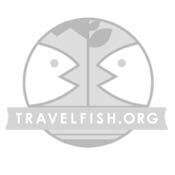 Browse our independent reviews of places to stay in and around Ninh Binh. Read up on where to eat on Ninh Binh. Check out our listings of things to do in and around Ninh Binh. Read up on how to get to Ninh Binh, or book your transport online with Baolau. Planning on riding a scooter in Ninh Binh? Please read this. 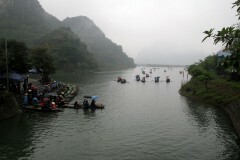 See below for more sights and activities in Ninh Binh that are listed on Travelfish.org.